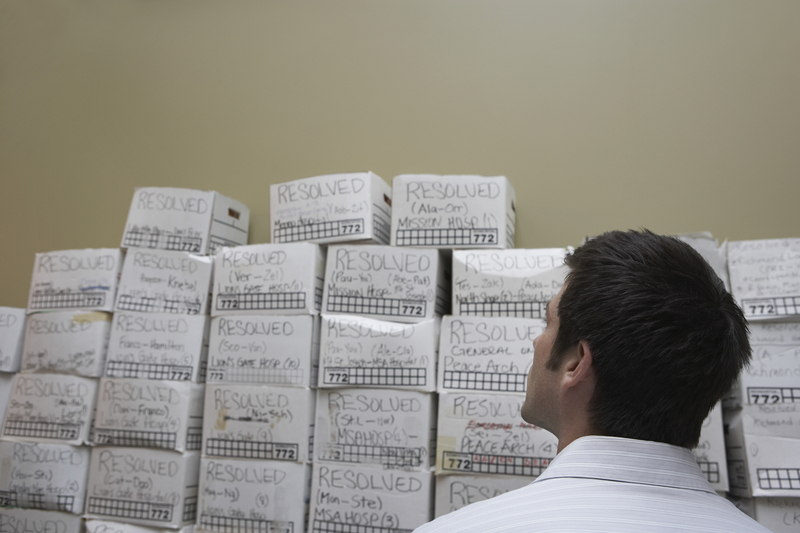 Office paper purge is critical to maintain storage space and protect clients files and details. Without periodic or even yearly disposal, your confidential cabinet can overflow with documents. Over time, these documents become obsolete and can get in the way of running your work or home office efficiently. It can improve you work environment to have these items destroyed securely. For businesses that deal with sensitive financial or personal information, it can even be unlawful to store these documents for an extended period of time. Some shredders are inefficient and documents can eventually be reconstructed. In several high-profile cases, employees who were given the task to shred documents did not do so. In addition to existing regulations, the Federal Trade Commission is responsible for making sure that businesses comply with proper data disposal. If your business does not meet these standards, you can potentially face steep fines and penalties. The ‘paperless office’ has been talked about for a long time. The reality is that we have printed and stored vast quantities of paper documents every year and this trend have slowed hardly at all. As a result organizations and homes have retained papers that can be discarded at some point. Paper documents are required to be kept on file for some time per government and business policies. Many MA companies have a well-structured filing and archive systems complete with planned destruction dates for each category of document. Whether the archive is at your office or a separate storage location. An annual visit to destroy another year’s old records is a recurring request. For large archive clearance jobs, the high-performance shredder used by our company means the work is completed more quickly and with a lower carbon footprint than our competitors. When MA and NH businesses relocate or reorganize their offices they always discover paperwork and records that have lain untouched for years. Neighborhood Parcel can help you plan the clean-out of redundant papers before the move so that you take only the minimum to the new location. We can advise on the recommended retention periods for different types of document. We supply heavy-duty polypropylene sacks in which to collect material for shredding when you are weeding out filing cabinets and racks. Companies that switch to digital storage methods have used our services to shred the old paper files after scanning. The team at Neighborhood Parcel of Tewksbury MA is proud to service the Massachusetts, New Hampshire, and Maine Territory. We pride ourselves on providing exceptional customer service to your business with our secure document Destruction Services which includes media destruction and paper shredding. The security of your documents is our #1 priority and you receive our personal assurance at the conclusion of each service when you are presented with your Notarized Certificate of Destruction that all documents and media have been safely and securely destroyed in compliance with State and Federal Laws.